On occasion, I wake up with a song on repeat in my brain. It’s not surprising to me when this happens as God often uses music to speak to my heart and this time was no different. 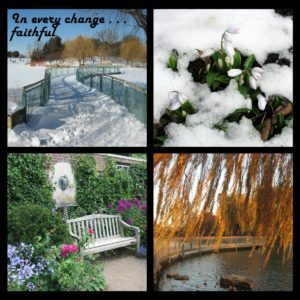 The particular lyrics playing over and over that morning were these seven words — “In every change, he faithful will remain” — again and again and again. and in the world of those I love. Galen and I have experienced seasons of the winter/spring/summer/autumn variety at Chicago Botanical Gardens. There have been other seasons/life changes where it was and some days still is hard for me to experience the truth of these words. Again and again, God brings me back to the truth of these words through those who encourage me, hold my faith for me, are Jesus-with-skin, and yes, a godly counselor who has helped me untangle the tangled threads of change. As the song continued to play in my mind, I couldn’t help but think of the scenes we’d captured at the gardens and as I played with the photos that help me remember, this image emerged. Sharing it here with you helps me “Remember“. Now “Celebrate” this truth with me here in this space this weekend. * Very little is known about the author, Katharina von Schlegel, born in 1697. Over the next 100 years it was translated by Jane L. Borthwick, a member of the Free Church of Scotland. In the early 1900’s, David Evans, an organist, choirmaster and music professional matched it to the tune of Finlandia, Op.26, which had been written by Jean Sibelius in 1900 for the Revised Church Hymnary (London, 1927) and later was used in the Presbyterian Church, U.S.A. for The Hymnal (1933). If you are a bit like me and are fascinated by the history and development of lyrics and music into songs we sing in worship, you’ll find more HERE about this song. 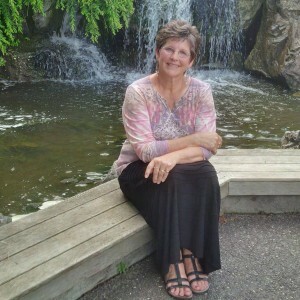 To listen to and see the lyrics for the rest of the song, click HERE and listen to Kari Job‘s rendition of this simple song, profound with truth. .
Hi Carol! ‘Be Still My Soul’ needs to be an everyday anthem for me. Too much assails us to think otherwise. yes Linda — TOO MUCH. Stopping the chatter in my heard is so hard some days. Thanks for your visit here. I too, often awaken with songs in my mind-hymns, choruses, and songs with biblical truth, not because I’m spiritual, but because God knows I need these to help direct and change me. Isn’t it interesting how sometimes we get messages given to us in various ways…like a conversation and seeing it here. I am sad about your sister and all she is going through. Such a difficult journey. I am glad she has a sister such as you to stand with her. Thanks for leaving your message here. Carol, this is so beautiful! you have a real gift for matching photos with words and creating something beautiful. 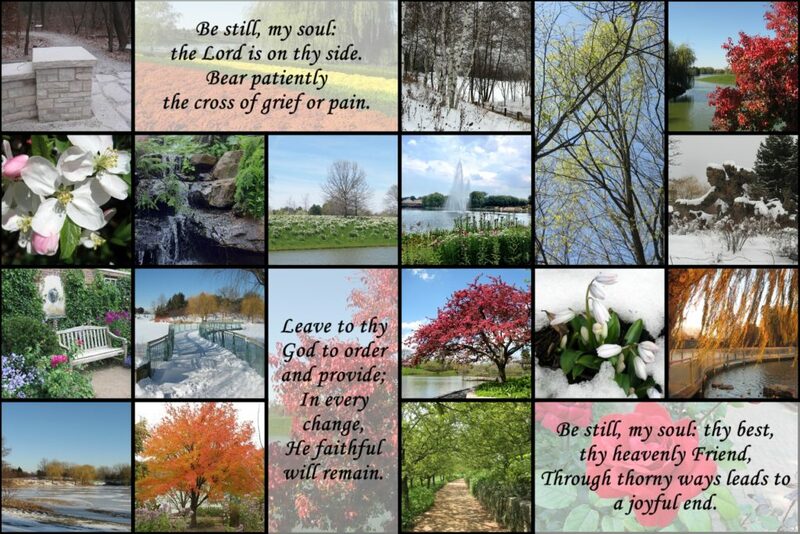 “Be Still My Soul” is one of my favorite hymns, too. I like the version sung by the Second Chapter of Acts. Thank you for the beautiful wrap up!